UPDATE: It looks like the code for today was accidentally labeled DayTwentyOne instead of DayTwentyTwo. I'll go back and fix this as soon as I have a chance. Today’s entry in 31 Days of Android begins a three day sub-series on data storage and persistence. Today’s topic will focus on Shared Preferences. Shared Preferences are used for storing key-value pairs of primitive data types. Included in these primitive types are: booleans, floats, ints, longs, and strings. If you want to store any complex types such as your own class objects, you would need to manually do a mapping. You can download the source code we’ll start today with here. First, you’re getting the reference to SharedPreferences. The getSharedPreferences method is available because you’re currently inside of the Activity context. You’re passing in a file name and a mode. It would be a smart idea to move the file name into a constant so you don’t have to try entering the same text name in multiple places. The mode you’re passing in above is 0 or MODE_PRIVATE which is the default and means the file can only be accessed by your application. MODE_WORLD_READABLE (1) means that all other applications have read access to it and MODE_WORLD_WRITEABLE (2) means that all other applications have both read and write access. Lastly, MODE_MULTI_PROCESS (4) can be used if you need multiple processes to have access to the shared preferences file. 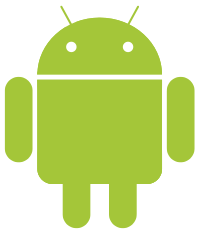 MODE_MULTI_PROCESS was the default behavior in Android 2.3 and earlier. In versions newer than 2.3, you need to explicitly set it to be multi process capable. After you get a reference to SharedPreferences you then need to get the Editor out of it. After that, you can call any of the put* methods on the Editor object to put data into it. Lastly, you need to call commit() to write those changes back to the file. commit() is a synchronous operation so you will be notified if there are any errors. Alternateively you could call apply() on your Editor object, however, while this changes the SharedPreferences in memory, it makes the changes to the file on disk asynchronously and doesn’t notify you if there are any issues. You still need to call commit() after you’ve cleared the preferences. Also, if you set any preferences after you hit clear() but before you hit commit(), those will still be stored. Note that again you need to call commit() after you’ve called remove. There is no reason you can’t use multiple preference files in your application. In the examples above, you passed in “MyPreferencesFileName” whenever getting a reference to SharedPreferences. However, you could just as easily use different file names in different activities or whatever you need. It might become complicated to use multiple preference file names but it’s at your disposal. When it comes to reading and writing preference files from other applications, you don’t need to do anything differently. You just need to know the name of the preferences file that you need (and have) access to. You can download the code we ended up with after today’s work here.